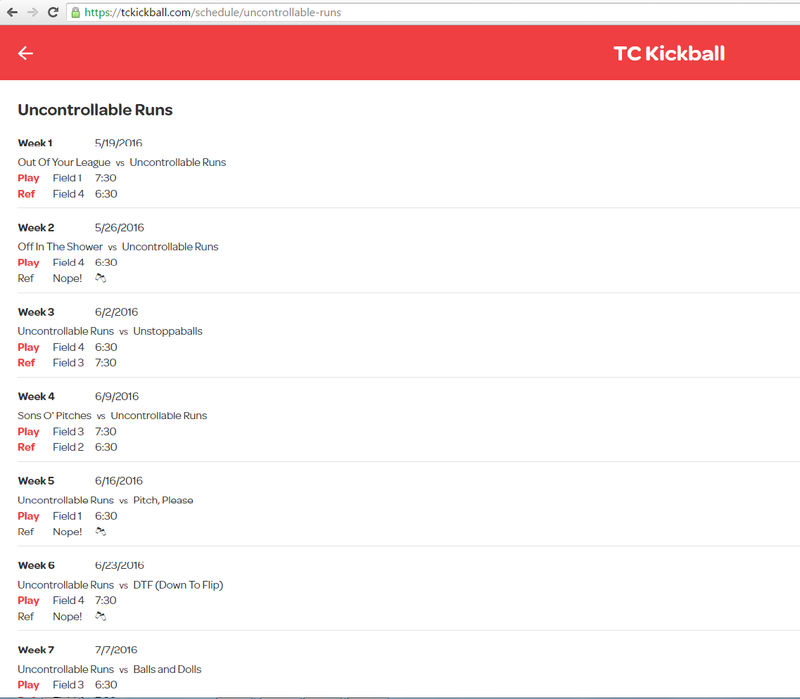 MN Twin Cities WAKA Kickball: New Schedule Website! Have you been having troubles navigating the website from your mobile, while just trying to find the schedule for the week? 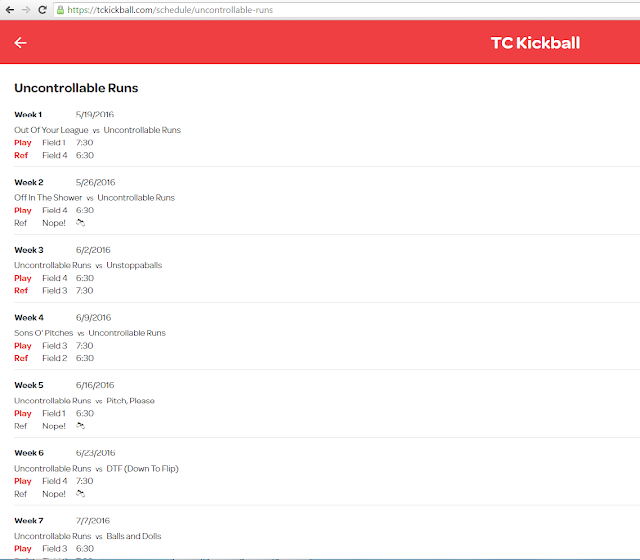 Well look no further than www.tckickball.com, created by Charlie of the Uncontrollable Runs!